The Delhi High Court on Monday convicted Sajjan Kumar for conspiracy to commit murder in the case and sentenced him to imprisonment for life. 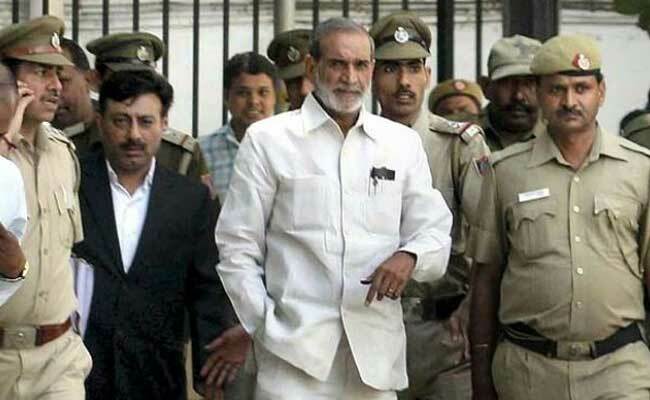 Sajjan Kumar is the first top leader of Congress to be convicted in the case. Congress leaders on Monday said the conviction of Sajjan Kumar by the Delhi High Court in a 1984 anti-Sikh riots case should not be politicised and the law should take its own course. The Delhi High Court on Monday convicted the Delhi Congress leader for conspiracy to commit murder in the case and sentenced him to imprisonment for life. A bench of Justices S Muralidhar and Vinod Goel convicted the Congress leader for criminal conspiracy, promoting enmity and acts against communal harmony. "It should not be linked to the political atmosphere prevailing in the country. The law should take its course, there are appeals," senior Congress leader Abhishek Manu Singhvi said. There have been verdicts in the past where people have been found guilty, while others have been absolved, he told reporters. "This should not be politicised and political benefit should not be derived from this," Mr Singhvi said. Sajjan Kumar does not hold a position of power in the party, his colleague, senior Congress leader Kapil Sibal, added. "What decision has been taken by the court is a legal process. We have seen how cover up is going on in the Sohrabuddin case... and what about Justice Loya's death?" he asked, referring to the Sohrabuddin Sheikh encounter case and the suspicious death of Justice B H Loya who was hearing the case. "Don't give it a political colour as it is a court decision," he told reporters. Mr Sibal also brought up the issue of the 2002 riots in Gujarat and alleged that a number of BJP leaders were named in the cases. "Charity should begin at home," he said. Sunil Kumar Jakhar, president of the Punjab Pradesh Congress Committee, said the party has been clear that whoever was involved in the riots should be brought to justice. Party leader Ghulam Nabi Azad refused to comment when asked for his reaction.